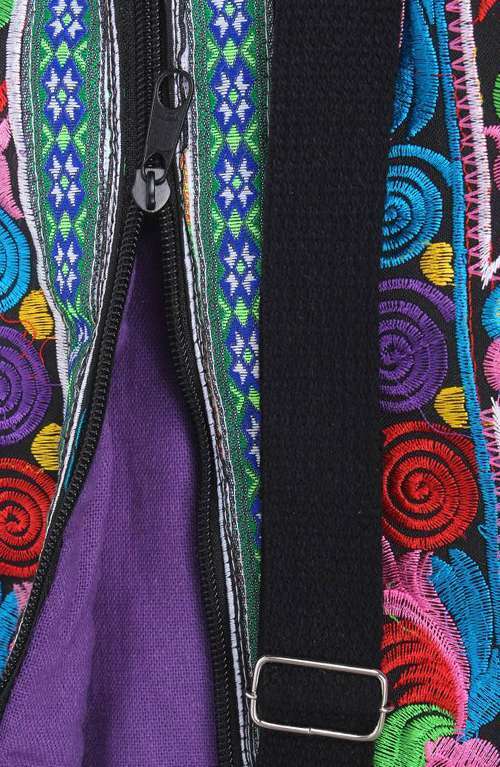 This multi-bird boho yoga bag is handmade with love in Northern Thailand. 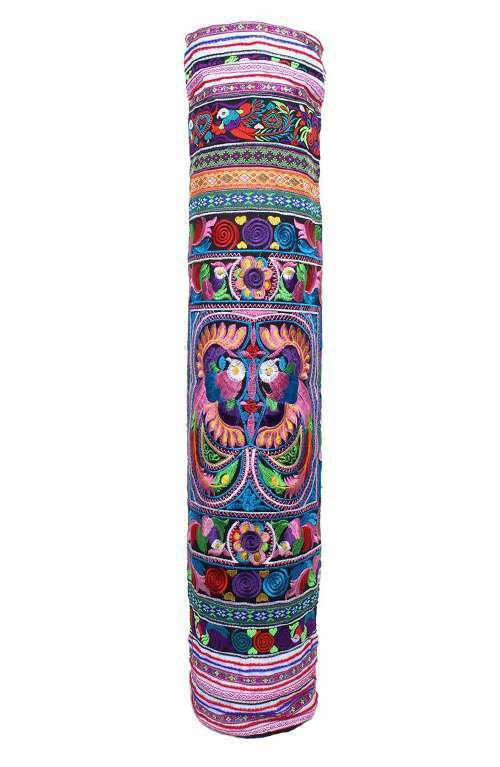 This yoga mat bag is the perfect gym bag to add color to your yoga practise. 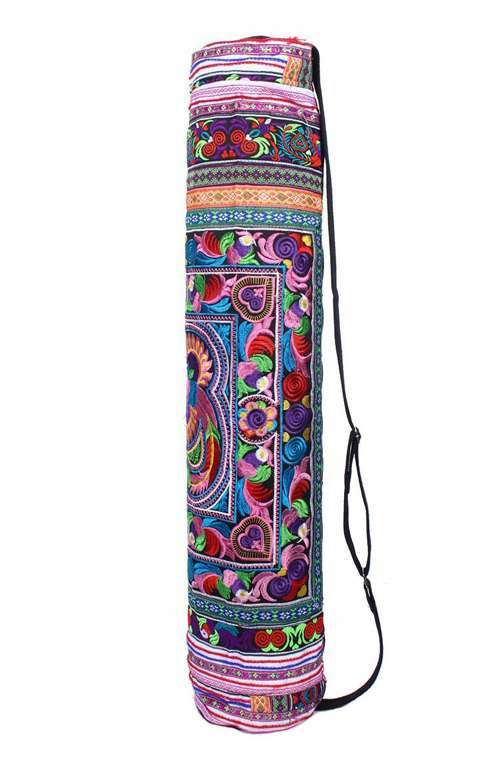 A gorgeous bohemian yoga bag handmade in Thailand. 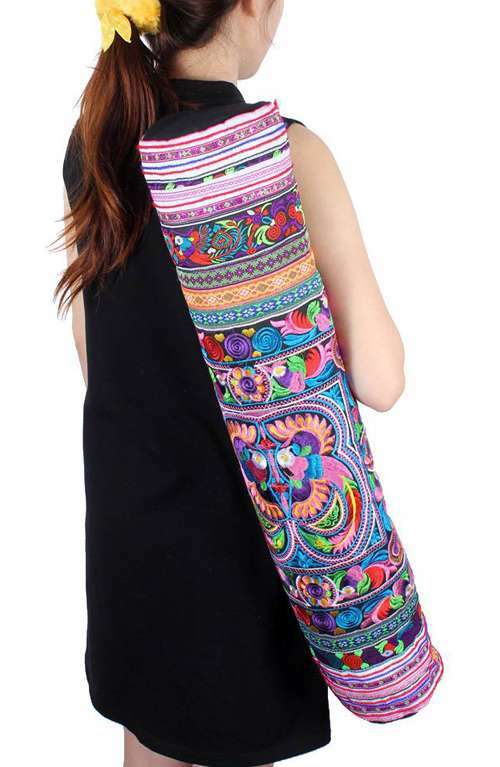 This beautiful yoga mat bag features beautiful Hmong Hill Tribe bird textile and is made into a gorgeous unique yoga bag. The gym bag has a zipper opening, is fully lined with black cotton and has a cotton adjustable strap.